One of Mark Hegg's top five favorite airports: Lone Pine, CA (O26). 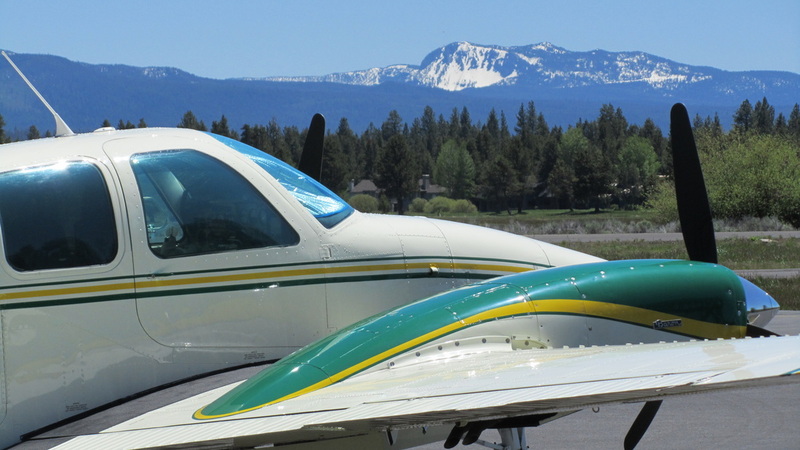 Mt Whitney (highest peak at 14,495' in the 48 states) in the distance directly behind the Mooney Ovation. Lone Pine Peak closer on the left. Great spot to land, walk 200 yds north across the airport property, and stay at the Frontier Motel (760) 876-5571 owned my Mark's friend Martin Powell and managed by Travis Powell. Rated 5 stars on Trip Advisor. Best Mexican restaurant in the state, The Bonanza is a short walk downtown. Much to do here including hiking the Eastern Sierra Nevada and Inyo Mountains, visiting the site of Manzanar Japanese interment camp of WWII, Death Valley 40 miles east, etc. Hire long time mountain guide, Dave Kruger (760) 920-1852 for any type of hourly or extended day hiking. Dave and Mark guided here as partners in the 1970s. Dave knows this area better than anyone. Lone Pine is the site for most of the westerns filmed here during the 50s and 60s. Many films and commercials are still filmed in this area and most of the celebrities stayed at the Frontier. Call Mark (303) 517-2311 for any additional information. Sunriver, Oregon, also known as Tree Town USA, is a great place to stay from anywhere from one day to several nights. It is a very relaxed town with numerous things to do. The only place to stay is called the Sunriver Resort. They will pick you up at your aircraft and will take you to the resort, which happens to be visible from the airport. Once you have settled in you can play golf, use the town's numerous paved bike paths, go horse riding, and participate in raft float trips. 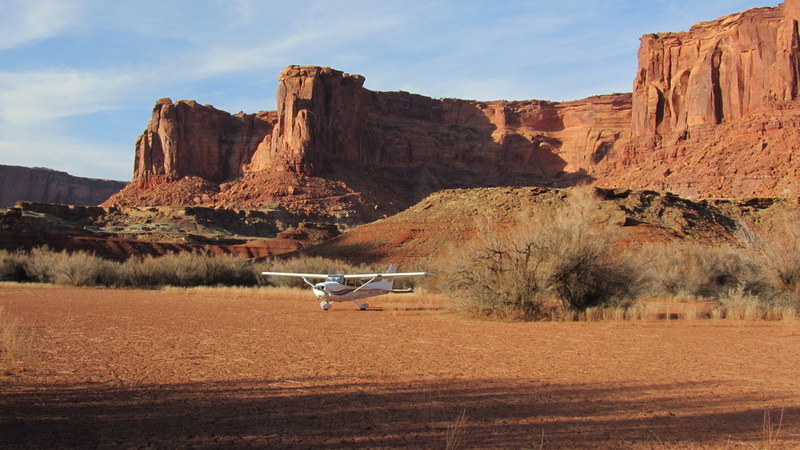 Mineral Canyon Airstrip, Utah. 40 Miles West of Moab, Utah. Fly in Camping. Off of Green River. Elevation: 4000ft. 2000ft Dirt Strip.